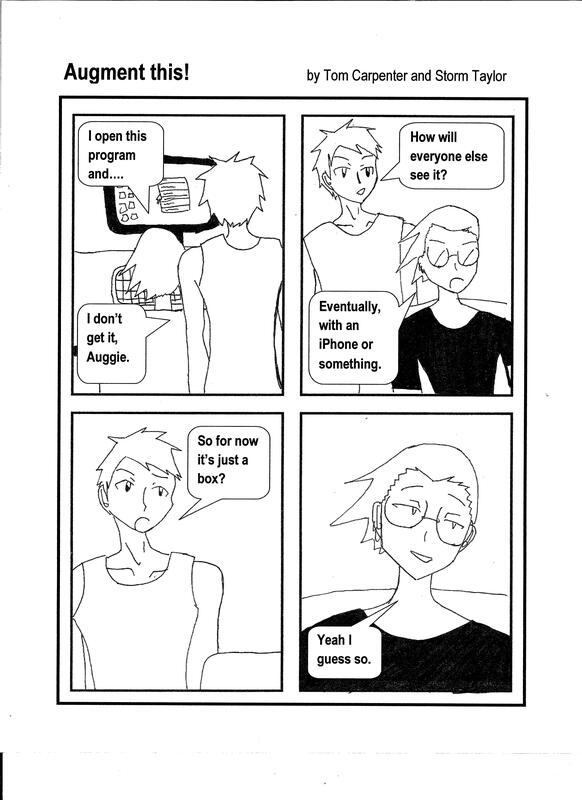 Last spring I worked with a friend of mine on a webcomic about augmented reality. The artistic quality wasn’t out of this world, but it was fun to do for a few months. Unfortunately, she had other obligations and couldn’t continue the series. 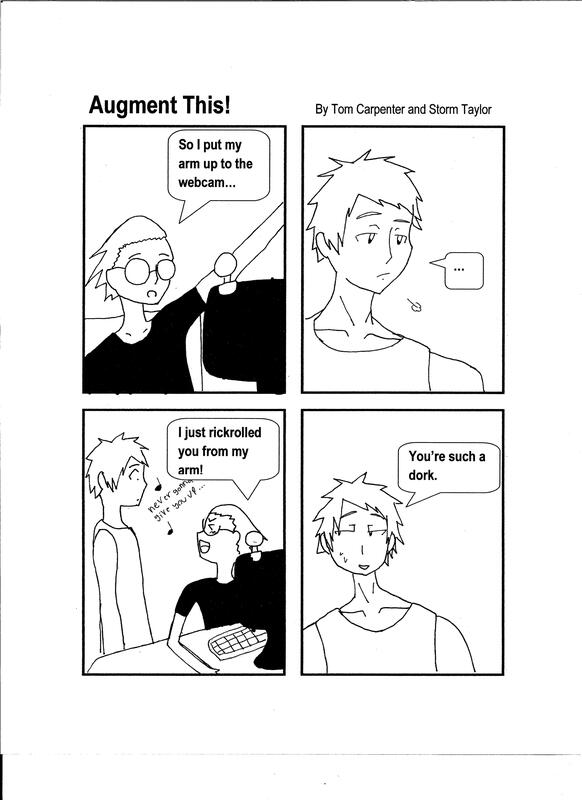 But seeing the video below reminded me of a mini story arc that we did involving using a tattoo marker. I thought it was a good time, along with the actual video, to bring back that panel series. And now for the real augmented tattoo video. 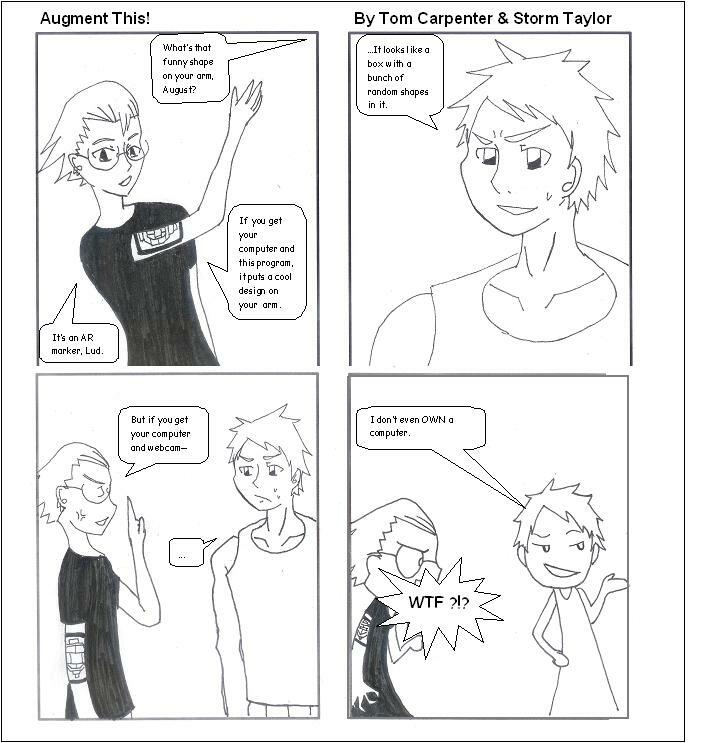 If anyone is a decent artist, I’d love to resurrect the web comic. Drop me a line if you’re interested.